So I’ve chosen this question as I know A LOT of you who are new to planted aquariums, wonder how to plant aquarium plants. So I wanted to cut straight to the point and I have combined this post with a YouTube clip I made sometime ago now. 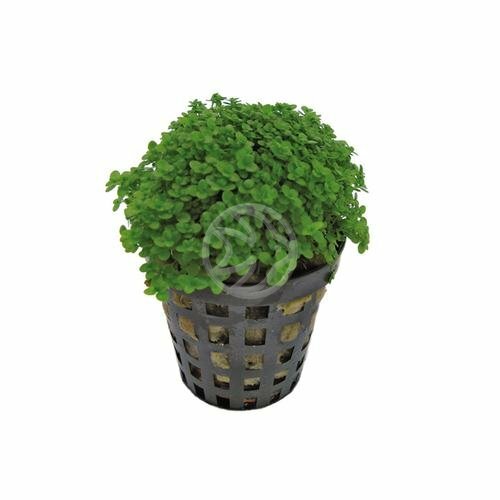 2) Remove the plant from the plastic pot and if you can please recycle the pot as most recycling centres now accept them. 4) You now need to split your plant into several sections (if possible). Using Heminathus as an example, you can cut this with scissors into 5-6 pieces. Other plants like cryptocorynes you will be able to gently tease apart and plant as 4-5 new plants. But, not all plants can be split – most Echinodorus are only one plant and that is how they will stay. 5) Some plants will have a decent root structure to them, others will not. If the roots are big and you find they will get in the way, simply cut them off with scissors. Leave about 20mm – you will find this does not effect plants at all and can actually have the reverse effect and create positive plant growth. A bit like stemmed flowers – they’re always trimmed at the base before putting in water to improve nutrient uptake and the same goes for aquarium plants. 6) So you’ve now removed the pot, removed rockwool (if necessary), split the plant and trimmed the roots, all you need to do is plant into your substrate. You need to make sure you give your plants room to grow so for smaller plants give them at least 30mm between each plant. With larger plants, realise that they will grow a lot more and spread out so bare this in mind. Stem plants you can plant fairly close together but bare in mind if insufficient light makes it down to the bottom, then the leaves will fall off and you’ll be left with strange looking plants. Push your plants about 50mm into the substrate and I recommend using tweesers for this – it makes the job so much tidier. 7) Now your plants are in place, let them settle in. Try and avoid moving them and certainly don’t trim them for at least 2 weeks. They need to become acclimatised to their new world – which may be dramatically different to their old one. It’s your job to make sure you give them what they need, and in most cases that’s lots of CO2, lots of fertilisers and plenty of water changes. This is a tasty looking foreground plant that I thought you might like. Foreground types are always the most popular for reasons I’ve mentioned in previous posts. However, they can be rather tricky sometimes but this one won’t cause any problems. Sagittaria Subulata is a small yet elegant plant that has a lovely vivid green colour to it. It reproduces easily via runners (see the picture below) and will grow in medium to high light. Like most plants it does better with pressurised CO2, but will be fine is a low tech planted tank (i.e. one without CO2) – it just grows slower that’s all. Each pot can be split into 6 different plantlets and place them into a nutrient rich substrate for the best effect (try Colombo Flora Base). Position them about 25mm apart from each other (use tweesers for this) and in no time you’ll see new runners. Don’t forget if you start to see your plant going yellow, then you need more nutrients! Add AE Design Aqua Nourish. Lastly with all our Aquafleur plants we offer deals for multiple purchases so if you invest in 5 or more, we offer it to you for £3.59 per plant. Always on the look out for some different plants, we’ve got a couple of Echinodorus’ that I think you will like. Definitely not new to the market, but certainly new to us. So what are they? Aquafleur Echinodorus Ozelot Red – stunning shaped oval leaves make this plant a real beauty. Similar in appearance and size to Ozelot Green, it’s not a demanding plant and looks great in medium sized plant. When established this plant will grow quickly and will become a real focal point. Aquafleur Echinodorus Rubra – a rather neat and tidy plant, its leaves are slightly larger than the Ozelot Red. It flourishes in a wide range of conditions and is unlikely to cause you any problems in your planted aquarium. Young leaves start off a pinky colour and as they mature, turn green. Suitable for mid to background you will be very happy with this plant. For a range of all our fully rooted potted plants you can follow this link. What’s the easiest, what’s the best, what’s the quickest, what’s the nicest…? We get asked all sorts of things regarding foreground plants and the answer is always the same “it depends!!”…. 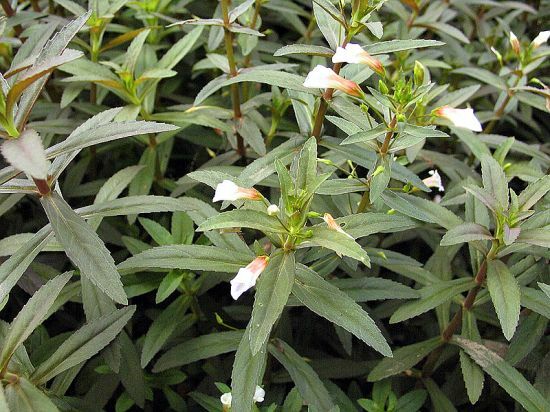 Pogostemon Helferi – probably the easiest foreground plant to grow as it will happily flourish in CO2 and non CO2 tanks. Lighting wise it’s not too fussy either and again likes low and high light. Great for beginners and upwards. Eleocharis Acicularis – a long term favourite amongst planted aquarium hobbyists you can see why this plant became so popular so quickly. Relatively easy to grow, it looks great and reproduces quickly by throwing out runners pretty much everywhere. In a CO2 infused aquarium, it really motors and you will have a lushous carpet in no time. Echinodorus Tenellus – a cracking plant that has been in the hobby since the mid 80s. A plant with lovely shaped leaves which when submersed become slimline and grass like so it sways in the current (very relaxing to watch). Suitable for non CO2 tanks, however if you’re looking to create a carpet effect (which most are with foreground plants) then CO2 would be necessary along with a decent fertiliser such as AE Design Aqua Nourish and Aqua Nourish+. This has got to be one of my all time favourite plants, particularly now as it’s always in flower due to our new hydroponics set up. This plant really seems to be loving the conditions and what most hobbyists miss is the smell!! It’s absolutely lovely but sadly all this is lost once submerged 🙁 In Vietnam the leaves are actually used as a spice and if you infuse it in hot water you can make yourself some rather tasty tea. If you purchase it from us, make sure you have a good smell first. You can clearly see from the picture above the type of flowers that come out when this plant is grown immersed. But as hobbyist grow this plant submersed, lets get onto some finer details about this plant and how to keep it. Limnophilia Aromatica is not a difficult plant to keep but it does have a few pre-requisites that you must follow. It loves nutrients so plenty of macros (nitrates and phosphates), it’s also rather fond of CO2 so make sure you give plenty. If you plant in a decent substrate expect it to put down lots of roots and of course if it grows to the top of your aquarium, expect flowers. In order to keep this plant from becoming leggy, trim hard and then replant the trimmings into your substrate being careful that you don’t plant too close to each other. It won’t appreciate any shadows and this is main reason why it prefers bright lighting. 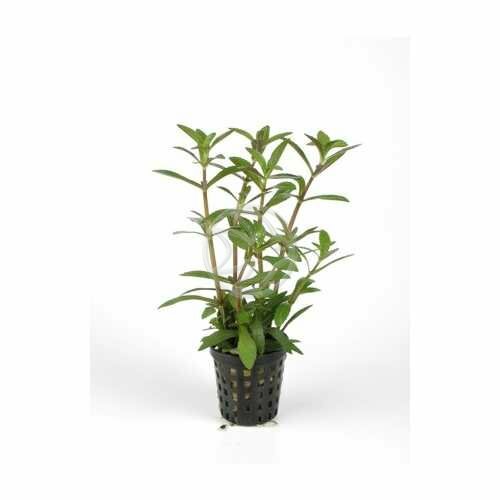 Place Limnophilia Aromatica at the background of your aquarium as it grows fast and tall – expect 50cm easily but you can of course reduce this by heavy trimming. Like most stem plants they always look better together so when investing in this plant choose 3 pots or more for the most dramatic of effects. Planting it behind rocks is often a clever way to give real impact, especially with the colour transformation this plant will go through when it’s happy growing underwater.